I have a German Shepherd I got at about 10 months old. He supposably has Panosteitis, well thats fine and all but I'm curious will he ever put on the weight to match his size. He has a huge front end and a little tiny back end...Kinda like a body builder that never works out his legs. He's a good dog hes just the size of a full size shepherd and underweight. Thanks! Comments for Will my German Shepherd puppy ever put on the weight to match his size? 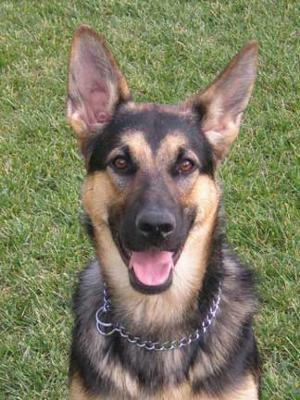 Your GSD is considered to be a puppy until he reaches the age of 18 months. After that he should be out of the puppy stage (over active stage) and settle down and put on the weight.